Mayor of London Sadiq Khan restated his support for a second runway at Gatwick during a visit to the airport on Friday (July 15). He called on the new Prime Minister to support a decision in favour of Gatwick against the recommendation from the Airports Commission last year, which backed a third runway at Heathrow. During his visit Mr Khan also welcomed an extra zoom investment by the owners of Gatwick to transform revitalise the existing airport, which will bring the total investment over a five-year period to £1.2bn. While proposals for a second runway at Gatwick has received some support, its expansion has been opposed by a number of West Sussex MPs, borough and county councils, and campaigners due to concerns about the impact on residents and the region’s infrastructure. 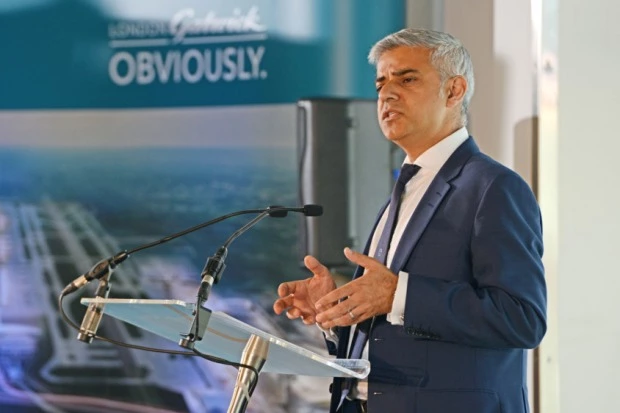 Mr Khan, who was elected in May, said: “Gatwick is the front door to London for millions of visitors to our city and I salute their decision to spend another £200m on improvements to the airport. Stewart Wingate, chief operating officer at Gatwick, added: “As Gatwick rapidly approaches full capacity, this increased investment paves the way for our second runway project. As we enter a new era for Britain, we must be agile and decisive as a country to show the world that we are open for business. “It is now clear that only Gatwick can deliver the runway Britain needs to boost international competitiveness and trading links at a time when it is most needed and we can do that before 2025. The new capital investment programme at Gatwick for 2016-2021 announced today includes expansion of both the North Terminal and South Terminal departure lounges, upgraded shopping facilities, expansion of the North Terminal and South Terminal immigration halls, and extra aircraft parking stands and optimisation of the taxiway. Gatwick has already completed work to transform Pier 1 in the South Terminal, including state of the art baggage system and early bag store, while the ongoing North Terminal development programme has resulted in the worlds largest self-service bag drop and check-in area being opened this year.